Captain America: The Winter Soldier gave us “a man out of time” and a film with a unique place in history. Not too many movies can claim to keep in context a concurrently running television series, eight films that came before it, and three so far that have come after with a fourth on the horizon. Even fewer can claim to keep all that in mind while revolutionizing both storytelling and action sequencing in blockbuster films. Actually, I’m not sure any other movie ever can make even the first claim. The events of the film take place at the exact same time as episodes 16 and 17 of Agents of S.H.I.E.L.D. which is pretty amazing when you consider how tightly woven the narrative is and how much it moves the overarching plot forward. Much like Star Wars: The Empire Strikes Back, this film feels like a beautiful and giant mess in the middle of some grand orchestration. The events change everything. Darth Vader is now Luke Skywalker’s father and S.H.I.E.L.D. is so full of Hydra operatives that it needs to be completely dismantled. And there’s no going back. Additionally, Winter Soldier introduced two new pivotal characters to the MCU in Anthony Mackie’s Sam Wilson (Falcon) and the titular Winter Soldier played by Sebastian Stan. I guess technically the Winter Soldier’s former self, Bucky Barnes, had been introduced but this very different version of the character was revealed and as we have seen from the trailers for Civil War his inclusion is a major driving force behind future events. I also hope that one day Sam Wilson can do as he does in the comics and take over as Captain America should Chris Evans ever tire of the role or should the narrative make good sense to call for Steve Rogers’ death. Maybe this year? The action sequences in this flick are mesmerizing. I’d have to think on the entire category, but the highway fight scene between Cap and Bucky might be one of my Top 10 favorite fight scenes of all time. And that list would include Bruce Lee and Tony Jaa. The climactic scene aboard the helicarriers wasn’t quite as innovative but what it lacked in creativity it more than made up for in sheer scope. The humor is sustained throughout with consistent references to Steve being behind the times and plenty of banter between Rogers, Wilson, and Scarlett Johansson’s Natasha Romanoff. (Obligatory “more ScarJo” comment). The movie was explicitly shot like a 70s conspiracy thriller and boy did they nail the mark. Directors Anthony and Joe Russo along with screenwriters Christopher Markus and Stephen McFeely brought plenty of the patented Marvel heart, humor, and spectacle but added a heavy dose of political intrigue, mystery, and social commentary. With plenty to say about citizen privacy and shadow information organizations like S.H.I.E.L.D. 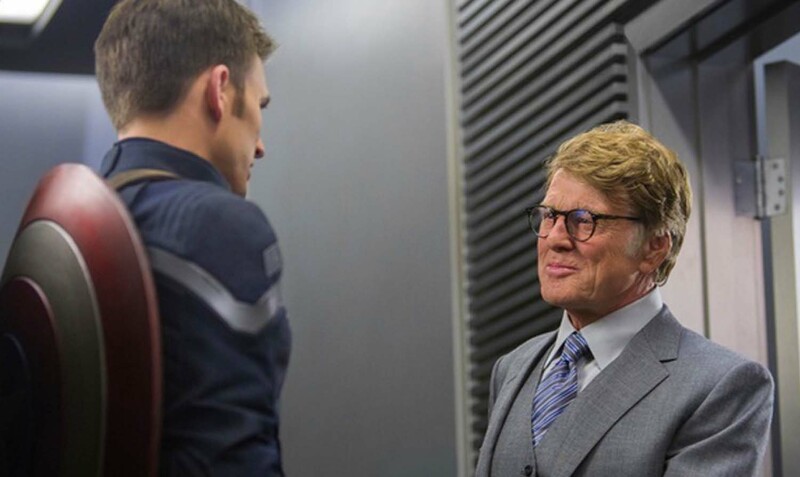 and Hydra (or the CIA, NSA, etc), Winter Soldier eludes the dichotomy of “good guys versus bad guys” right down to the antagonist being best friends with the hero. But frankly, this film had my heart in the first few minutes during a hospital scene I don’t want to spoil for anyone except to say this: How you got me cryin’ ten minutes in? What is this, Up? Captain America’s second standalone film is a success on every level. In many ways ,though, it contains ideas, storylines, and aesthetics we’ve seen in many movies even inside the same genre. The adaptations that rank higher on this list all push the boundaries in those areas but Captain America: The Winter Soldier is as well executed as any comic book adaptation ever made.